Coach Katie draws on a wide breadth of experience and multiple certifications to help youth to masters athletes achieve their goals. Katie specializes in coaching triathletes and cyclists, integrating functional strength workouts, data analysis and effective communication to successfully balance an athletes training schedule with their other commitments. Katie is former division one collegiate athlete who has always made an effort to get those around her moving. Katie’s passion for coaching was fostered in high school where she would mentor younger athletes in the weight room. To take her coaching and training to the next level Katie acquired USA Cycling Level 2 and USA Triathlon Level 1 coaching certifications along with the highly regarded CSCS certification. Education alone does not make a great coach; Katie’s ability to adapt and understand her clients’ needs is what sets her apart from others in the profession. Katie looks at every workout as another opportunity to teach clients about their body and to help guide them towards their full potential. She joined this profession because she loves to see the transformation that can occur in an athlete's self confidence when they have a goal and set out to achieve it. Katie can be found around the front range of Colorado coaching the Golden Running Academy, Golden Bike Experience and at Inspired Fitness. 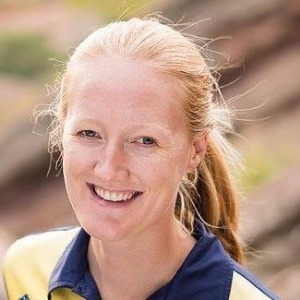 She currently bike races with the women of the Colorado Women's Cycling project and has been competing near the top of the field in triathlon since 2009. She has multiple overall female wins in triathlon. Success. Coach Katie Whidden has been notified of your message. To hire Katie Whidden as your coach, select the coaching service that is right for you.